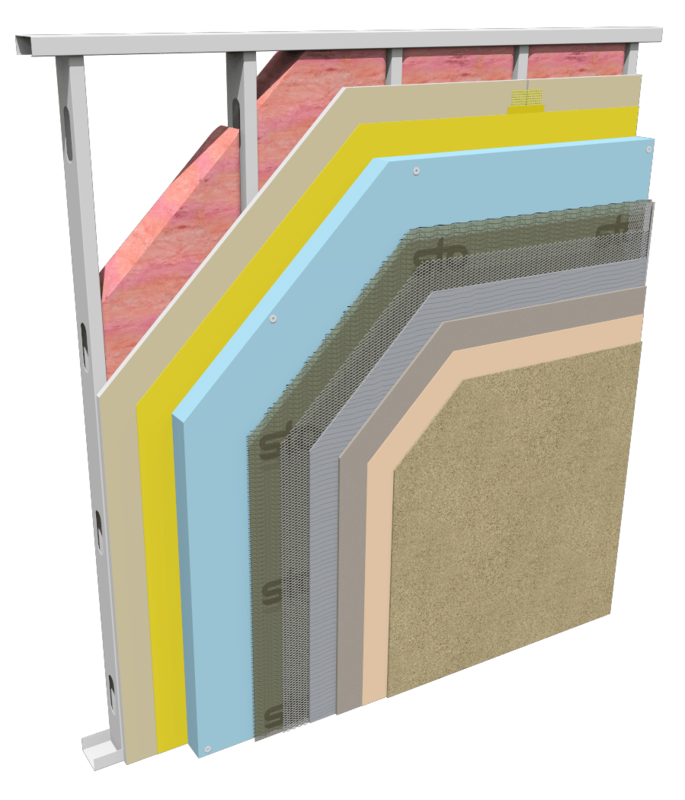 StoPowerwall® ci - Outbound - Sto Corp.
StoPowerwall®ci – Outbound Insulation is a premium integrated stucco wall system that combines protective and aesthetic elements. 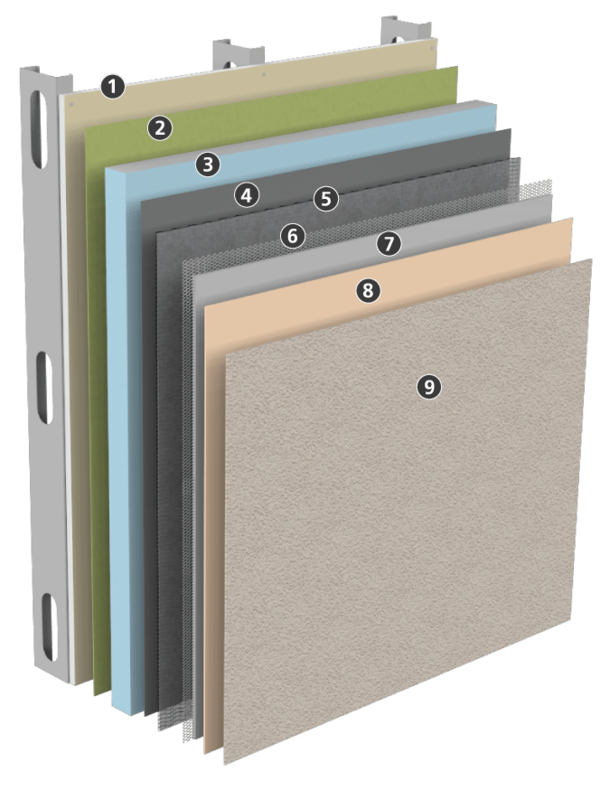 The system is made-up of high-performance components including StoGuard® waterproof air barrier, Sto DrainScreen®, Dow (Type IV) XPS insulation board, and Sto textured finishes. The result is a durable, energy-efficient wall cladding that offers superior air and moisture control and thermal performance. This stucco assembly incorporates a fluid applied air/moisture barrier, continuous insulation, code compliant paper or felt water-resistive barrier (WRB), drainage mat, code compliant metal plaster base and portland cement stucco, and Sto primers and finishes. The assembly complies with IBC and IRC building code requirements for use on on all Types (I-V) of construction. It has been tested in accordance with NFPA 285 and meets criteria for use on noncombustible construction (Types I-IV). It has also been evaluated in accordance with ASTM E 119 as a one hour non load bearing fire resistive rated wall assembly.